Guys, Himadri Sekhar Bandyopadhyay has secured GATE AIR rank of 15. I am so happy to welcome him on our portal to share his experience with you all. Himadri shares GATE preparation strategy in his interview with CSEstack. One of a fascinating thing about him is that he is graduated from ECE specialization and rank topped in CSE specialization. 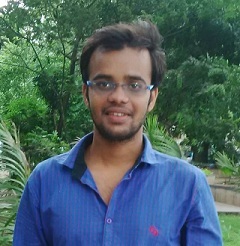 So if you are from CSE background and ever think subjects are really difficult to study, his story will motivate you – how did he study computer science subject for GATE? It’s not just studying, getting AIR rank 15 in CSE is mind boggling. A warm welcome to Himadri to the CSEstack GATE Ranker Interview series. I am thankful for Himadri and his initiative to help future GATE aspirants by sharing GATE Preparation Strategy with future aspirants. I am Himadri Sekhar Bandyopadhyay. I completed my schooling from Siliguri, (West Bengal). After that, I attended my B.Tech in ECE from Institute of Engineering and Management, Kolkata in the year 2016. Despite from being ECE background, I decided to give GATE 2017 CSE paper.I am glad to score 77.98 marks(normalized) and All India Rank of 15 with GATE score of 943. I want to dedicate this success to my parents, they were always there throughout my journey. How to keep yourself motivated for GATE preparation? I always wanted to pursue higher studies in the field of computer science. It was after passing out that I decided firmly to switch my stream from ECE to CSE for doing Masters in CSE. What time do you find more compelling for GATE study? I used to sleep by 2 to 3, the hours after 12’o clock seemed perfect for me as the environment appeared to be calmer! Name some important Topics that you feel are a must read for any student attempting GATE exam? What are the three key tips to crack the GATE (CS) exam? At the initial stage give as much time as needed to clear your concepts and doubts. Revise, revise and revise. When you read the fourth subject, it is very likely that you will forget the subject studied first and then you need to start the first subject from scratch. So fix hours for revision daily. Learn from your mistakes and don’t repeat them. In your opinion, Is it necessary to take coaching for GATE Preparation? The need for coaching is dependent from student to student. Also, the time you have left for preparation is a determining factor. If you are honest with yourself and study standard books and strategies, then you don’t need to enroll for classes. Which books/materials did you follow for GATE preparation? 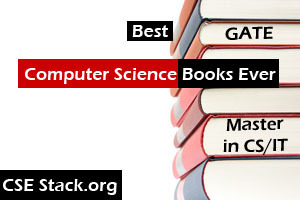 If you find any other subject difficult, you can refer the GATE books listed by experts. On the exam day, what was your experience like? I was supposed to sit for afternoon batch hence I made it a point to sleep by 12 on the previous night and woke up by 8. This day anyone will have immense pressure and negative vibes. I got up and sat alone in a room where I tried to recollect some important things and build focus. After that, I had a nice bath and had a light breakfast so that I don’t fall asleep. Just remember this three hours will decide all the hard work you have done, and you cannot afford to make a mistake. Talk to your parents/ friend or whoever the person is who believes in you. The most important thing is reassuring you that everything is going to be good because I have worked hard. Go into the examination hall with confidence and come out with a smile. How to manage time while solving GATE CSE exam? It varies from student to student, but I tried several strategies. I will mention the one that worked for me. Give first 20 to 25 minutes to solve aptitude section. If you find any question difficult to solve in time, marked them so that you can check them later. Next 40 to 50 minutes, solve one marks questions from the GATE technical section. In the remaining time, I started solving the questions from behind (marks questions). This is a strategy I have followed. Not necessary you should follow but you can give a thought of solving this way as it worked for me. What are the college preferences you would like to give for CS and IT M Tech? I will choose between Mtech courses in IISC or IIT Bombay, but that’s a real tough call to make. What advice would you like to give our readers and future GATE Aspirants? Believe in yourself. Everybody has the potential to do good. Thanks Himadri for your valuable interview and sharing Toppers GATE Preparation Strategy. We wish you all the best for your future and your higher education. Glad!